No matter how time consuming your work is, creating a blog and making money with it is possible. It’s not a get rich quick ordeal, but if you do it right, you will surely make money. Blogging is a potential profession where knowledge about virtually anything can be leveraged into an online audience. Whether you’re writing for mechanical engineers interested in professional tips or posting “Game of Thrones” fan fiction, your blog could potentially become your next big thing. One potential way to turn your social media skills into a legit side hustle is by becoming an influencer. If your social media accounts are rife with engaged followers, you’re a valuable asset that you can market to companies. If you can identify your niche, look into sponsors that might be interested in paying you to access your network. The first and most important thing to do is building a following, so start by trying to keep your posts on Instagram, Twitter and/or Facebook regular and engaging. You might not need to look far for ideas to start a new business -- your current job might hold the key. If you can find work as a consultant, you can leverage your current position and associated expertise into a separate business. “One of the quickest ways to start a business while working is by offering consultations,” said Michelle Ngome of MichelleNgome.com and the podcast Networking With Michelle. “Anyone who has three to five years of experience has expertise in a specific area. Offering consultations is low overhead and allows someone to make quick money if they’re good at what they do. 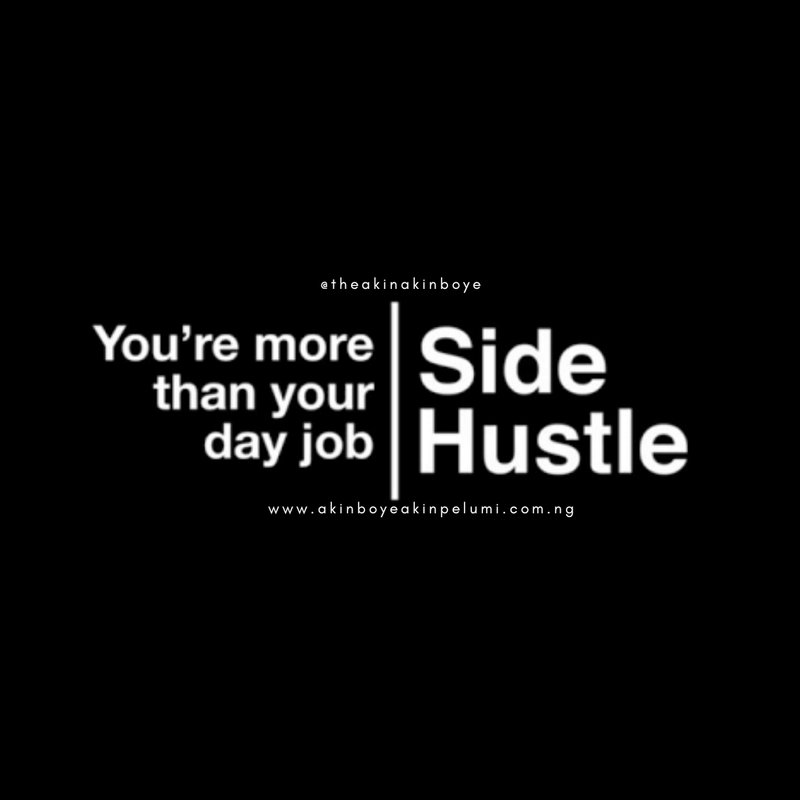 The skills and knowledge that make you a valuable asset at work can also be valuable to others, so your side hustle can just be passing along the wisdom you’ve picked up at work. There’s also a constant need for private tutors everywhere there are children. You can also make extra cash with your penchant for snapping pictures by selling your shots to stock photography sites. Posing pictures of everyday tasks or taking shots of known landmarks could translate into something you can sell to various online photo banks. So, if you have the eye, look into sites like Shutterstock or Getty Images to see if your pictures can become your side business. Virtual assistants are telecommuting workers who handle a variety of tasks for a fee. So, if you’re a whiz with office tasks, look into hiring yourself out in your spare time. Plenty of people need help with planning, staying organized and more. You can look for virtual assistant jobs on most jobs sites like UpWork or even find a more specialized site like We Are Virtual Assistants. A lot of people have a passion for food, you can turn your passion to some extra cash. As a caterer, you can limit yourself to jobs that fit around your 9-to-5 work schedule while still getting a chance to cook professionally. You could throw a dinner party to let your MD at work and his friends know you’re in the business. Think Big! Print media might not be what it used to be, but the rise of e-books does mean that the barrier is lower for self-publishing. There are plenty of sites where you can publish -- or even sell -- your e-book, putting your work out there and potentially launching your career as an author. If you’re ready to undertake writing a book, you’ve got options for turning it into a business -- publishing on Amazon can take as little as five minutes and costs nothing. Working as a bartender or an usher can be an ideal job to fit around full-time work elsewhere, especially if you can negotiate your shifts to fall primarily on Friday and Saturday nights. The number of different businesses in need of freelance graphic design work is vast, with plenty of firms finding themselves without professional graphics on their website or marketing materials. If you have a talent for the visual arts and a knowledge of some of the professional programs used in graphic design, market yourself as a freelance graphic designer and start building a portfolio. You can begin looking at graphic design work on standard job sites like Indeed.com or Monster, or you can look for more specialized sites like Creative Circle. Many podcasts can usually be classified as “passion projects” more than anything else. But, in the event that yours is actually getting some real listeners, turn it into a side hustle. Sponsors will pay to advertise to your listeners, especially if you have a niche audience that might otherwise be hard to reach. Put your podcast out there on iTunes, or you can sign up for a SoundCloud account. There’s one skill you definitely have that could translate to money: speaking English. If not, the odds are good you’re not getting a whole lot out of this article. There’s plenty of people in need of lessons on speaking English, and you can even teach classes on WhatsApp at your free time.